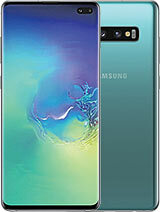 any one know if this phone will come out on orange? I hear that se are having problmes with it in testing? Is this the case? Orange dont want it becasue of these problems? i'm getting this phone as soon as!!! is the phone out yet?????? can it be purchased anywhere??? With mono, you get the exact same sound on both ears while with stereo you get two different tracks which gives you more quality. For example: the drums are more on the left side and the base and the treble is more on the rights side - so you get a kind of steric experience. mono is more low quality! what is the difference between stereo and mono ? Can you store mp3's on the MSDuo?, and is it in stereo? BENQ is BENQ, SE is SE! they are not the same BABI Unknown!!! Besides, hte BENQ S700 is a low quality phone!!!!!!!!!! U r the one who is silly & stupid! How can a flip phone can be similar to SE S700! MEMANG MABUK BABI! I just saw an announcement on a dealer's page that the S700 will be available in Switzerland (and I think this holds also for Europe in general) in late September. So we only have to wait another three or four weeks. oi silly jay...i mean similar in the sense that their design no. ...why cant you just use more of your brain? is there really no sim card for the s700 and s710? 32mb. and hte phone is soon here and we have wait so long. just look at the esato.com on the s700 discussion and you will understand page 62!!!!!! Is there any MSDuo included for SE S700?